Unfortunately, for boat owners the “Joys of Spring” are often tempered with discoveries of equipment failure as you power up your electronics for the first time, after a winter layup. It is usually the sensors and aerials that suffer the most, as they are permanently located outside in a very hostile environment. One of the antennas that can fail is the GPS antenna and with such a reliance on GPS these days (when was the last time you had to do a DR plot ?) this can really mess up your precious sailing time. There are basically two types of GPS antenna, the traditional passive antenna, that is literally just an aerial (with a 3v or 5v pre-amplifier inside) and the “smart” GPS antenna that has the all the GPS receiver electronics built-in to the antenna. To tell which antenna you have, just check the cable or connector. 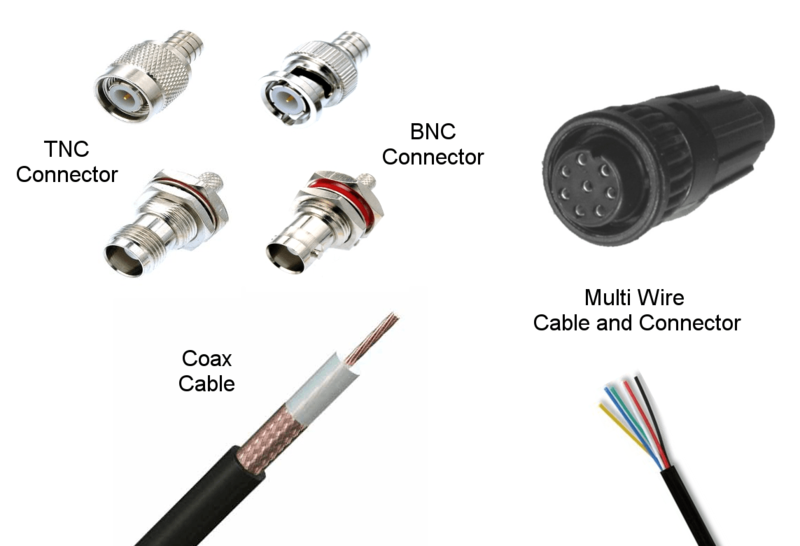 If it is coax cable (like a TV aerial) with either a TNC or BNC (most common connectors for GPS aerials) then it is the traditional passive antenna, if it is a cable with multiple separately isolated wires inside or a multi pin connector, then it will be a “smart” GPS antenna. Digital Yacht produce both a traditional Passive GPS Antenna and a “Smart” DualNav GPS Antenna that will be perfect drop in replacements for any of the old marine GPS antennas that are currently being used on boats. Whatever the make or model, the chances are that one of these Digital Yacht antennas will be suitable. 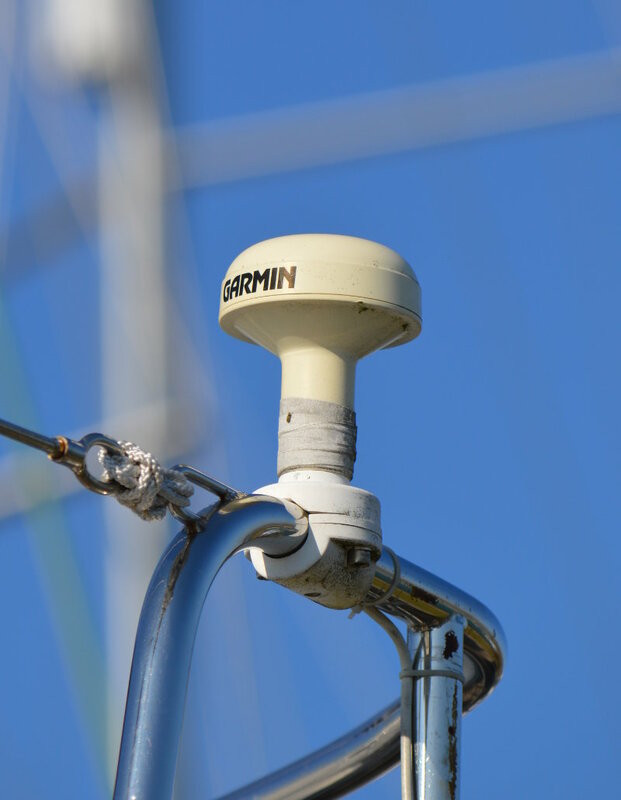 Our Passive GPS Antenna (Part No X500.391) can work from either a 3v or 5v pre-amplifier supply voltage and has a small FME connector to make it easy to feed the cable through the boat. It is supplied with an FME to TNC adaptor which will fit most GPS units, or you can easily get an FME to BNC adaptor from any good electronics shop if your GPS has the less common BNC connector. Our GPS150 DualNav smart GPS antenna (Part No ZDIGGPS150) has the very latest GPS receiver technology inside and with its simple two wire NMEA0183 output can be connected to a wide variety of Chart Plotters, VHF Radios, etc. including Garmin, Raymarine, Icom, Standard Horizon, Furuno, Lowrance, etc. Both antennas feature a standard 1″x14TPI thread integral mount, so that they can be mounted to standard VHF brackets. For more information or to get wiring diagrams for specific makes and models of chart potters and radios, please contact us. Hi Pete, should be no problem driving these units from our GPS150. If you are connecting our GPS150 to a single connection NMEA Input i.e. no NMEA- connection, then you need to connect the green wire of our GPS150 to the Black wire (negative supply). I always get nervous when people say a 3 wire network, particularly in relation to Raymarine systems as their SeaTalk interface had three wires (Red, Black and Yellow) and you cannot connect an NMEA device directly to a SeaTalk network. However, you mention Furuno Radar, VHF, etc. so it must be an NMEA network. The JRC1800 has a couple of NMEA0183 inputs, one for compass and one for GPS. Checking the NMEA0183 Sentences that the JRC1800 supports, on the JRC website, our GPS150 should work perfectly with it.